Welcome to the OreStore official topic! Welcome to OreStore! We are a marketing, supplying, and partnering business that has been around since the beginning of 2015. 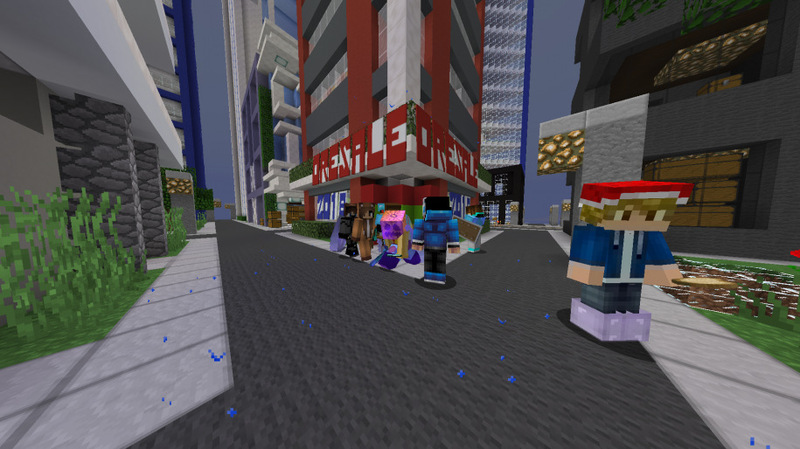 We aren't the usual shop on the street of a private city, we are across the entire map and continuing to look for new locations! 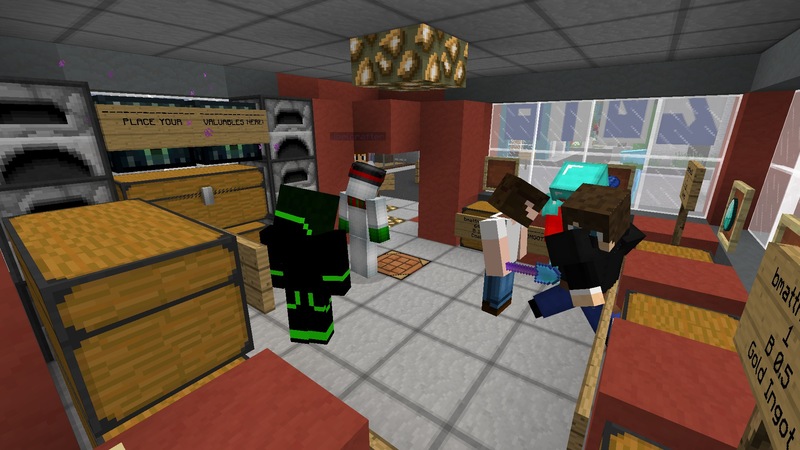 We are in the top 5 most chosen shop by players on the server! Our primary goal is to provide everyone with a level of easy shopping! We are continuously improving our stock, and affordability as time goes on. We guarantee that you will find what you need and get it very quickly, cheaply, and easily. We also have job opportunities to offer with good pay. We partner with other companies to improve our services and vise-versa. Thank you for choosing OreStore as your shopping location, we hope you enjoy our services. Need some good cash? OreStore offers a variety of jobs for you as listed below! We kindly request that you only apply upon being available for the job so don't apply for service managers if you want to play HelloMiners and not do the job. We're looking for players committed to doing the jobs and if you do them properly, you will be given a nice payment! *Committed to doing their job ASAP. *Must complete orders in a timely manor. *Must be good at gathering materials fast. *Must be committed to doing the job. *Stocks items that are low/out of stock. Want OreStore in your city? We're looking for new cities to put new locations in. Could your city be chosen? Apply below for a chance! We are only choosing cities that are known well and nice looking. If you do not feel like walking to a certain store to get the items, you may always order down below. There are limits to the number of items you can get to keep the orders flowing. Orders are worked on as quick as possible so they shouldn't take too long. This list does not show actual store prices, some can be lower, some can be higher, or they can be equal to the store price. Items are always being added to the list and prices are always changing in proportion to the stock amount. An alternative to ordering is ordering at HelloCentral, a quicker and much easier alternative to ordering. Happy ordering! Prices are subject to change at ANY time. Some items listed may not to date and could be different in select stores. Anything you need not for order? Just ask CallMeBmatt! We will tell you if we sell it in stores. Want your business to partner with OreStore? At OreStore we also offer partnering opportunities! By partnering with us, we count on you to support us and keep us in good shape. Partnering jobs include giving us techniques for keeping a good stock, stocking, assisting shoppers at OreStore, etc. In return OreStore is a fantastic store you can partner with. We offer any business to do the following: Use our facility, stock your shop only for a small fee, share our business solutions, etc. Apply your business in this format below. June 23rd 2015- We just got installed a brand new job faculty to stay in stock! 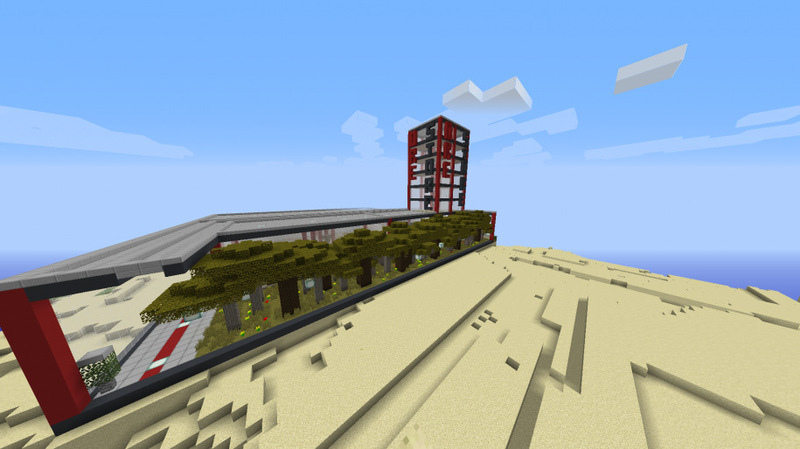 It is still a work in progress but so far we have the tree farm completed! It is right next to the Sunset Springs portal, which if you do not know how to get to Sunset Springs you can check out this topic for all the information you will need! Remember to follow all the rules and sell the wood to us. Here are pictures. In other news, we are now partnered with orbit industries. Thanks to them, we now get to use their factories etc.! 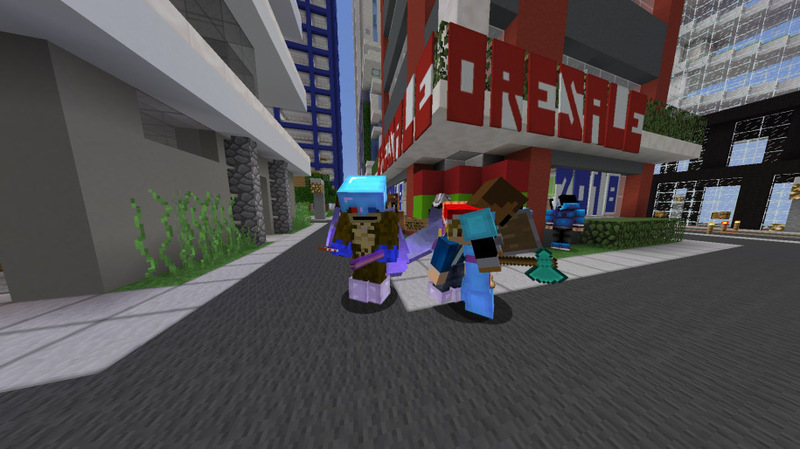 June 30th 2015- We have a few new updates! Firstly, all items that happen to be out of stock at any store will be stocked (Quartz, slime balls, etc.)! Secondly, because we just made our multicolored wool farm, we will now be selling all color wool at various major franchises for F14.99 per stack! And lastly, we will soon be opening up in Sudbury and we will be making our very first apartments. Once again if you want us to open up in your city, apply here! July 2nd 2015- This Monday will be the opening of our new location, OreStore apartments in Sudbury! 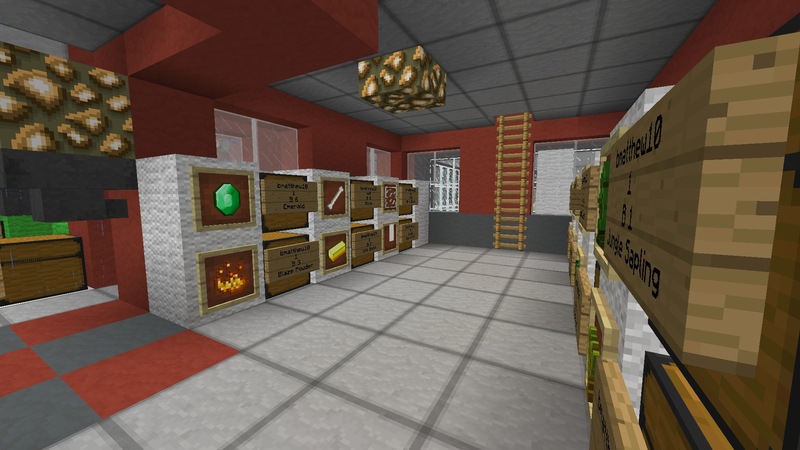 This will be a massive shop with just about all the building materials and most of the other essentials! We are also planning on opening apartments on the upper floors. Check the store out when it opens! July 5th 2015- Today the summer markets are open! Orestore has just built it's very own plot for the market; how exciting! We have various items we sell at the market that we do not sell at other franchises so check it out for yourself! Here is a picture. 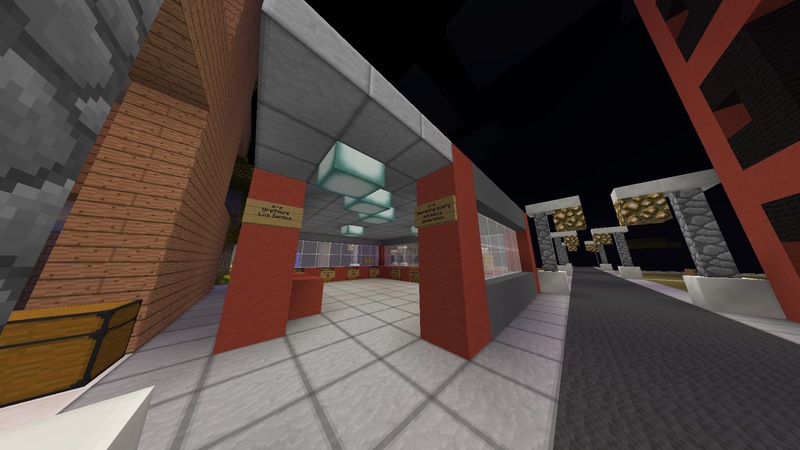 If you are looking for it, do /warp market and straight ahead of you is the location! July 7th 2015- Today we just completed our new franchise we promised we would make in the future. That's right, this newly built one is a major franchise. 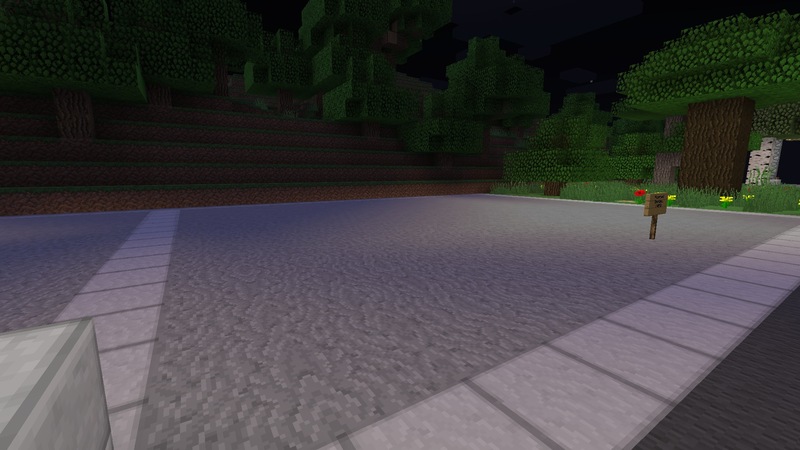 But with the new franchise, we now offer more items to sell (*hint hint* 1.8 update ); we now sell all color wool F14/64, some rare items obtained from the summer market slot machine, and we are now selling Sea Lanterns F5/each! In addition, this franchise is now renting out apartments on floors 3-7 for F400/month. Here are some pictures! August 30th 2015- Well finally there is a new update! Anyways, we are running low on 2 items right now: gunpowder and string. If you want some extra cash, come on down to our New Jamaica location and sell us string for F10/stack and go to our North City location for gunpowder! September 20th 2015- As we promised last night, the faculty and storage center in Avalon City would be stocked with new items... tada! All done, new items include potions, saplings, oak stairs, MORE GOLD AND EMERALDS! November 27th 2015- Happy holidays everyone! Today the two major stores Sudbury and New Jamaica have been decorated with plenty of christmas decorations such as ice, snow, and red+green wool which are shown in the pictures below. In other news slime balls and diamonds have been restocked. 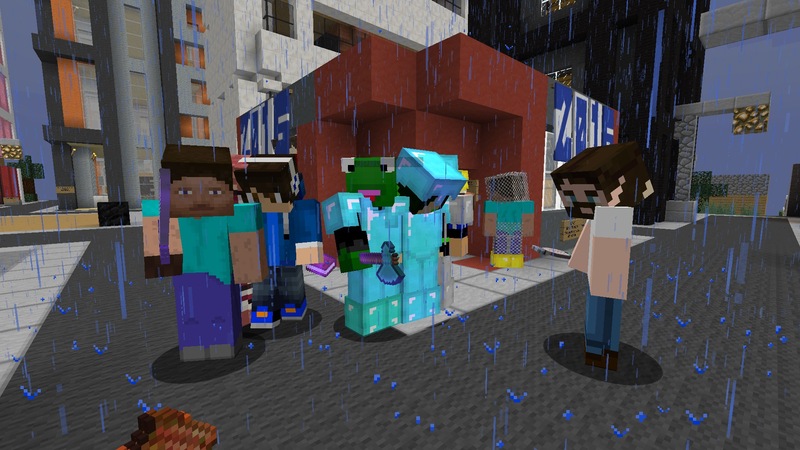 Iron and emeralds are on hold for a little while, it'll be done soon! November 28th 2015- As you may have heard, OreStore has become apart of Central 3! This way, OreStore will definitely be improving on stock, storage, and quality. Thanks to all of the Central 3 staff! In other news, the OreStore tree farm in our private factory has been fixed so you can now place the sapling and then sell the wood. For those who aren't familiar with our factory yet, watch this video and go ahead and make money! Enjoy! Hello. Today, we have some very important news! 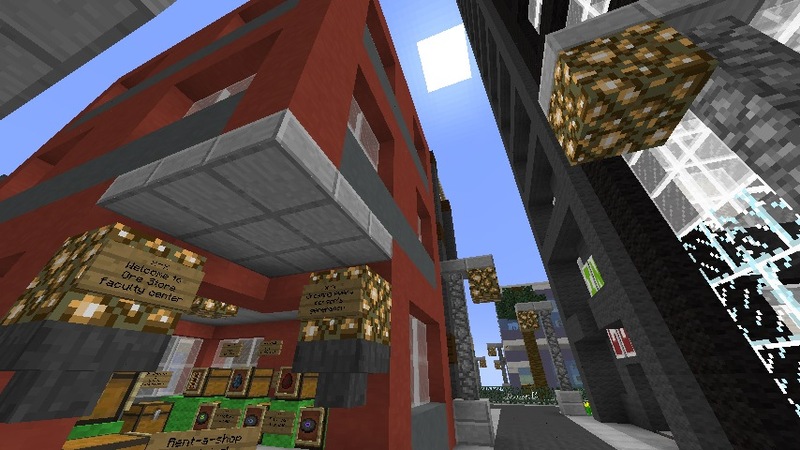 Sometime in mid-January the OreStore headquarters are going to be built in West Avalon City. 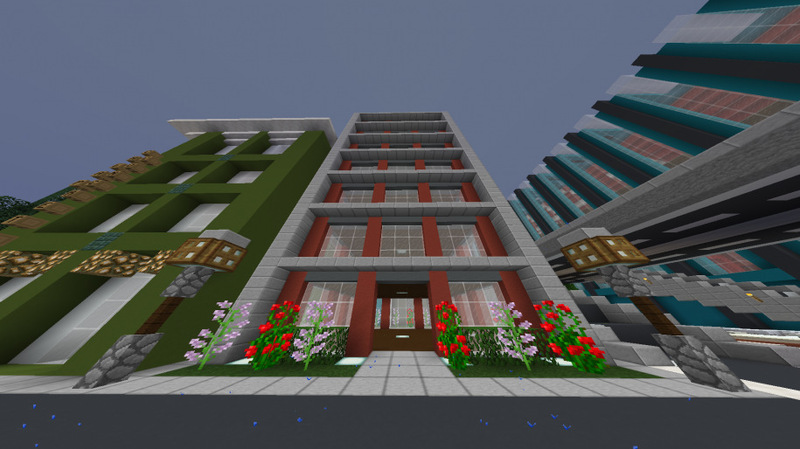 The plot is 15x18 and will include offices of employers and the founder of OreStore, apartments, and shop rent spaces. This is the plot it will be located. 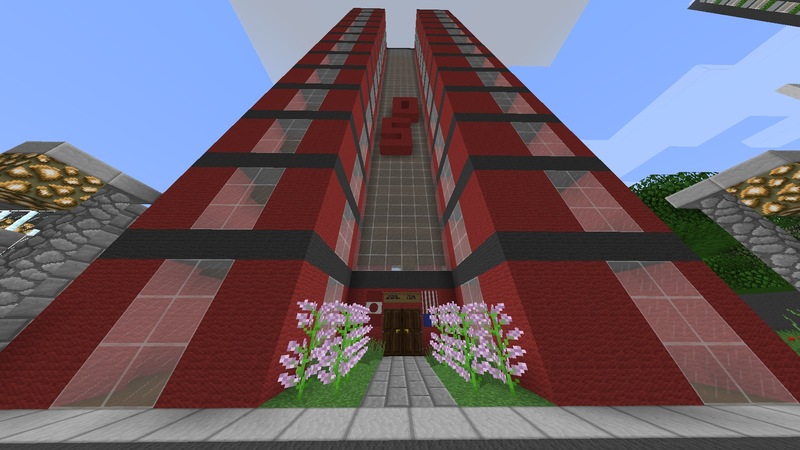 We'd like to thank MR_BLORB and SpartanPride7 for finding us a perfect plot for this massive construction project! OreSale was a blast! All of the low prices and excitement was amazing! So here we caught some pictures of the sale. Thanks for coming, everyone! In other news, ordering is back open but might take a bit longer for the orders to complete as we need to restock many items now. Have a happy 2016 everyone! January 2nd 2016- With 2016 here, we definitely have some goals to set and improvements to make. As you may know, OreStore has been around for about 10 months now and as we always say, we're always improving; so here is some things you might expect from 2016! That's right, normally we're always low on stock, but this year, we are going to put an end to that! This means that you can go in a shop and get what you need quickly! We were at one point lacking on staff, but now, we're going to try and make a better pay for our staff and hire as much as we can to keep our store the best it can be! You've seen OreSale, but you haven't yet seen enough! We are coming up with varieties of sales we could do on holidays, and our 1 year anniversary! P.S if you have any suggestions, you may always reply! We really appreciate your support. OreStore has very few locations, even though there are some big locations. This year, we're going to try and make it easier to get into cities. Last year, in 2015, it was hard for us to accept applications for cities. This year, 2016, it's going to be easy to get OreStore in your city! Business partners our the business friends of us. They always have our back when we have malfunctions! But unfortunately, we are lacking on these. So this year, OreStore is going to be accepting more and more business partners! 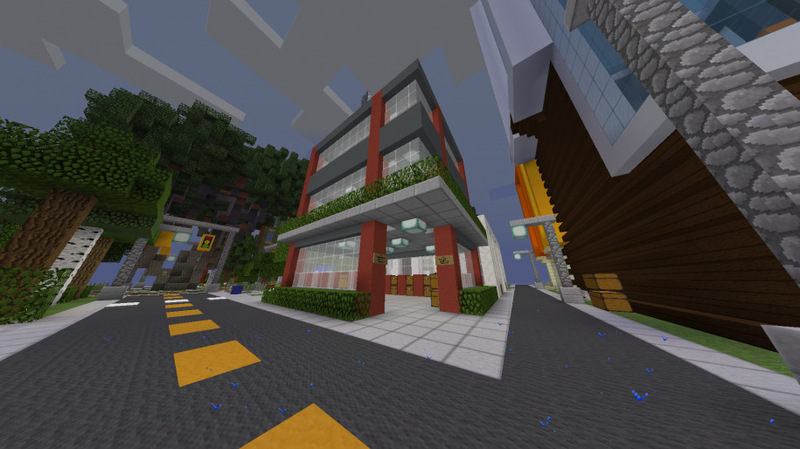 As you could probably notice, OreStore's headquarters are complete and in total we've spent about F7,000 on materials. The design is purely created from us, and not copied. 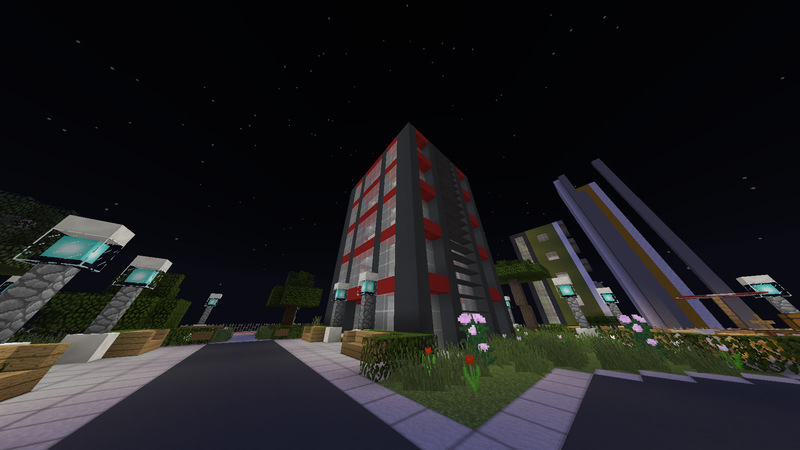 Soon, the interior will be complete and apartments will be rented. Thanks for your cooperation, orders should be done a lot quicker now! As we promised not long ago, we would add another location. It has been complete! Thank you EischMC for your city suggestion. 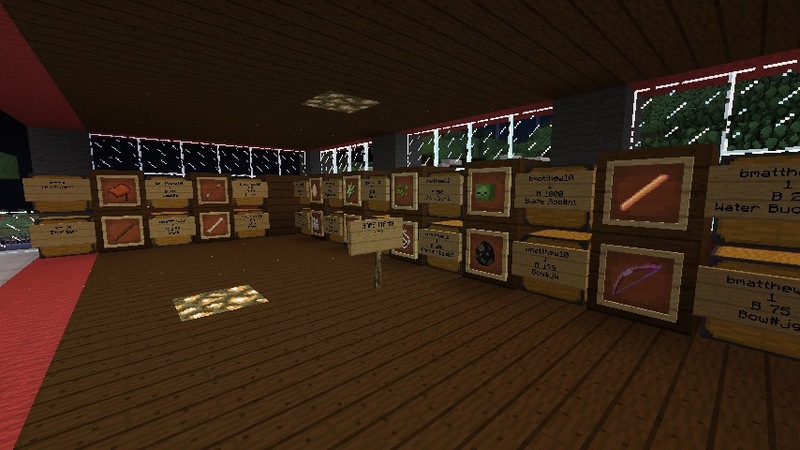 This store is selling miscellaneous items so go and check it out! Remember your city always has a chance at having a mini franchise in it so apply at any time! May 30th 2016- Happy Memorial Day! Today, we opened in Montego Bay! It is not far from the Montego Bay River portal. 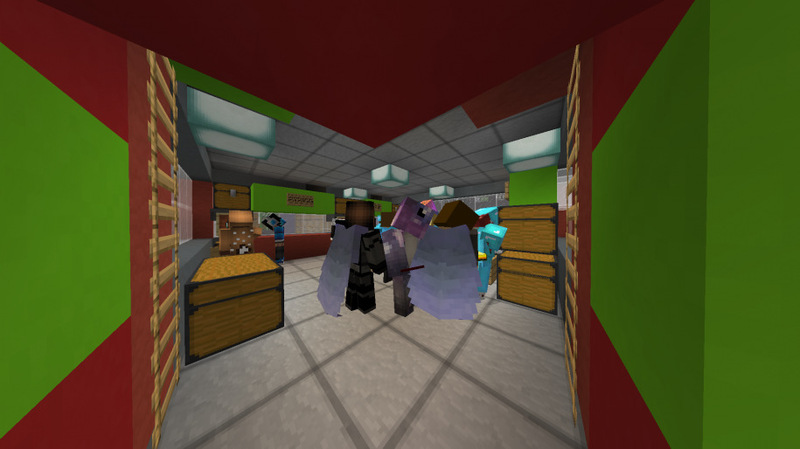 This shop sells clay, wool, and any other items miscellaneous. June 5th 2016- We promised you all that we would plan something for 4th of July. Without further due, we plan on hosting a half off ordering sale throughout July 1st - July 14th!! Just as last time, limiting will still apply. However, we are planning on adding and removing some items from the list. We are also going to raise and lower them. Hopefully you all will be satisfied with the new changes. We will keep you updated on what will change. In other news, OreStore will be opening up in Ferobanke soon and with the new Avalon expansion, OreStore will be opening up a major shop franchise which will include apartments. This summer, we are looking for more and more locations to open up, to make you guys happy, so after all, we will be much more revised and improved by the end of the summer! Thank you, and have a great summer! August 6th, 2016- As many have suggested this option to OreStore (which we gladly appreciate your suggestions), we've created a HelloCentral site! If you don't already know what HelloCentral is, it's a site created by ~Prota, a HelloMiners citizen, that makes ordering/buying from stores much easier and functional! We've put together our entire list where you may always order there. When we see that your order is pending, we will send you a PM via forums and let you know that the order is in progress. Please note: ALL ordering limits apply to each and every item so make sure you read the entire list on this topic before you order! We hope your ordering experience for OreStore is much easier now. Happy ordering! Today, we started collecting a bunch of new items with the 1.10 update! With that being said, we'll have enough to sell them in stores next weekend! Not only did we add these 1.10 items to the ordering list, we also lowered prices to some of our ingots! Below are the new items and their lowered prices! The estimated time these will be in stores and available on HelloCentral should be by next Saturday, September 3rd. 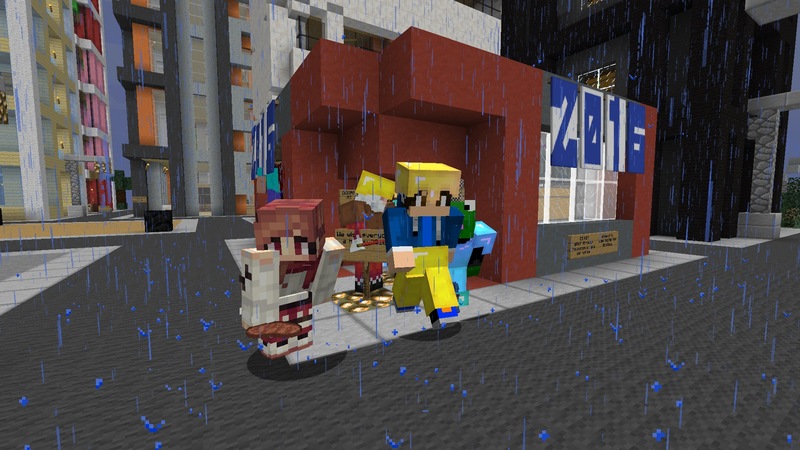 In other news, our new coming soon location will be in Athena City! It will be built on Saturday as well! September 3rd, 2016- Today we added a new location! 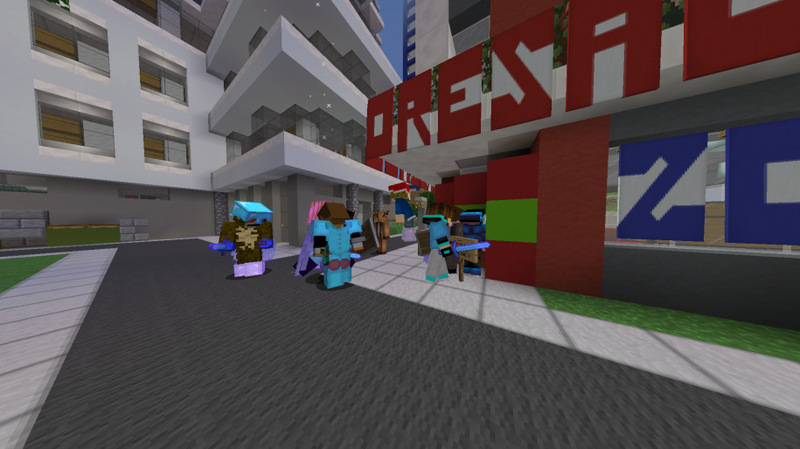 Please welcome OreStore to Athena City! We've been trying to get ourselves in this city for a while and we have finally done so! 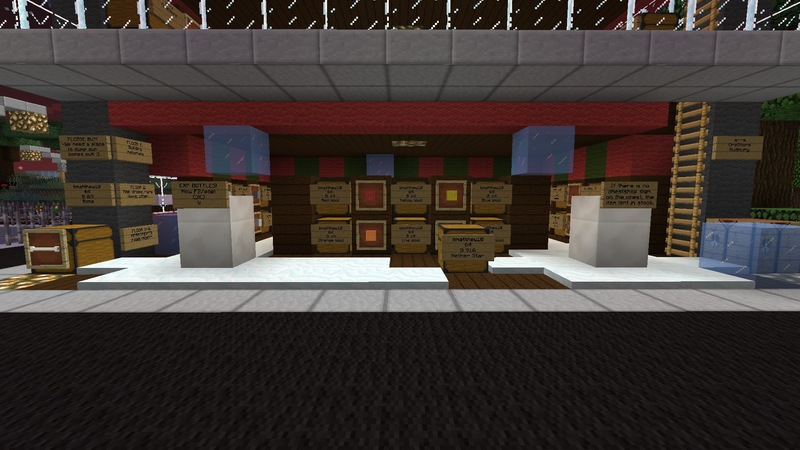 In this shop you will find new 1.10 items (which are still being stocked) and other items that sell at OreStore! Make sure you stop by your local OreStore to get what you need! 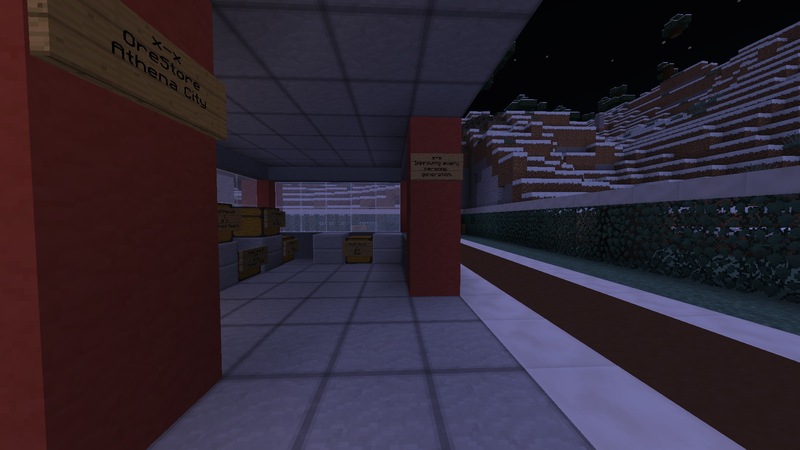 December 4th, 2016- Another location has opened up in Ferron Island! Make sure to check it out when you can! Theocat, our developer, will be selling items as soon as he can! Happy holidays everyone! We need your cities applied today! Apply in the format provided in the topic! We will have another location before 2016 ends! 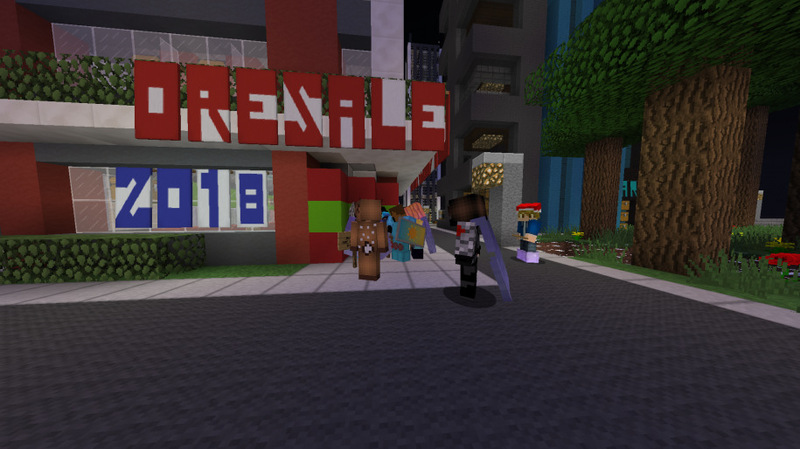 December 31st, 2016- Thanks for coming to OreSale everybody! We had a great time and we're glad all of you came! We took some crazy pictures ..
OreSale is over but we are still going to celebrate 2017! So tomorrow through 1/8/17, all orders are 50% off! Happy 2017 everyone! We will be posting our HUGE PLANS for 2017 tomorrow! Stay tuned..
January 2nd 2017- It's 2017 and we have some really big plans ahead of us as we previously said! 2016 was a great year for us and we seemed to have solved all of our issues, so this year we have some big updates coming! As some have heard, OreStore will be building a massive factory/job center. Now we already have a job center and a production center. So why do we need another one? Well the one we currently have is really small and lacks room and is very low quality; so the one we plan on building will be big and will hold MANY job opportunities! We aren't sure of the location yet but we can say that this project will start somewhere in the summer and then we will discuss where the location will be. 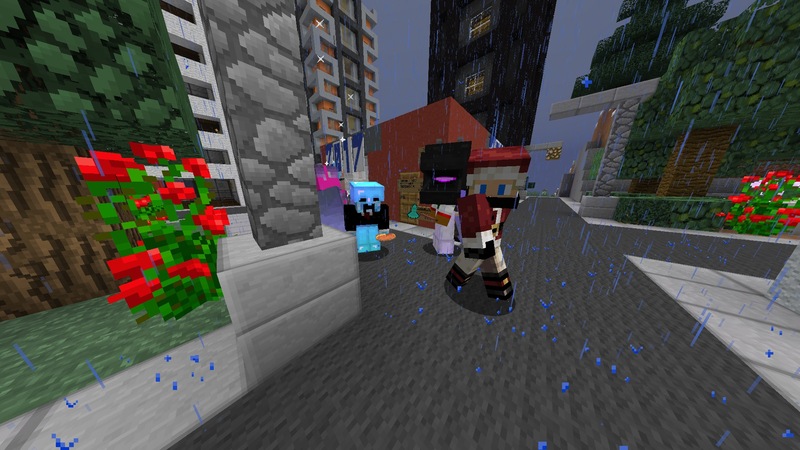 Of course, we cannot forget about our private city locations! We will be keeping them stocked more frequently. We will also be adding a lot more locations so make sure you send your city apps in ASAP! We may leave your app behind sometimes but that's because we are considering. We are still looking for suppliers! We haven't really used them in 2016 but we are giving our Developers a bigger responsibility than completing orders so now we will be depending on our suppliers so keep your applications coming! We're excited to see what else 2017 provides for us so happy new year to you all and of course let's make a great year! February 12th, 2017- WE'VE OPENED A NEW LOCATION! This is our first 2017 mini franchise and we're proud to have another one! We are in Los Santos now and we have everything set up so check it out when you can! We will be opening in Solaris as soon as we can! Also, sale orders are in progress now and will be done soon. It seems like we've been kind of dead recently; but we're not and we are going to once again step up our business! We still have tons of 2017 plans ahead of us! One includes our factory that will be built sometime in the summer. MANY new items will be added and our outdated price WILL be updated! Expect that to happen next week! Bye for now! March 4th, 2017- As some of you know, this is the 2nd year of OreStore's service to the community! We don't have an exact date of opening but we started to develop around March 2015. We said that 2017 would be a HUGE year for OreStore, and this statement has stayed true because we still have some major plans rolling in on us. If you haven't noticed, we always celebrate our anniversary by allowing all order to be 50% off starting March 5th, 2017 and ending March 17th, 2017. It's an outstanding deal but it's only for a limited time so we encourage that you order whatever you need during that time. Even better, we have prices to update so that means this year, we will have lower prices by 10% than last year's sales event. Now let's discuss some exciting plans that will definitely help the betterment of our stores. New prices, new items, faster order completions and of course, MUCH better stock! It seems as though we've been 'dead' for the couple of months, but it's now time to become active again! Prices will be DRAMATICALLY changed as they are very outdated (Some almost 2 years outdated!) We hope that these new prices will satisfy our players. 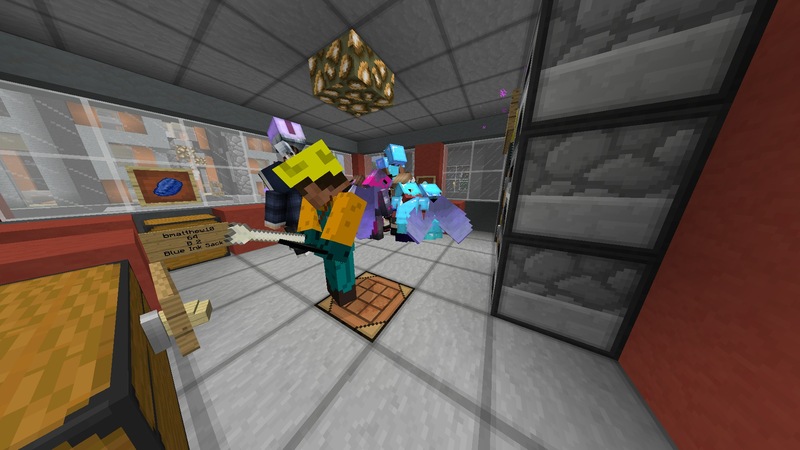 Of course, some new popular items will be available in stores such as enchantment books, armour, and a bunch of new stuff! 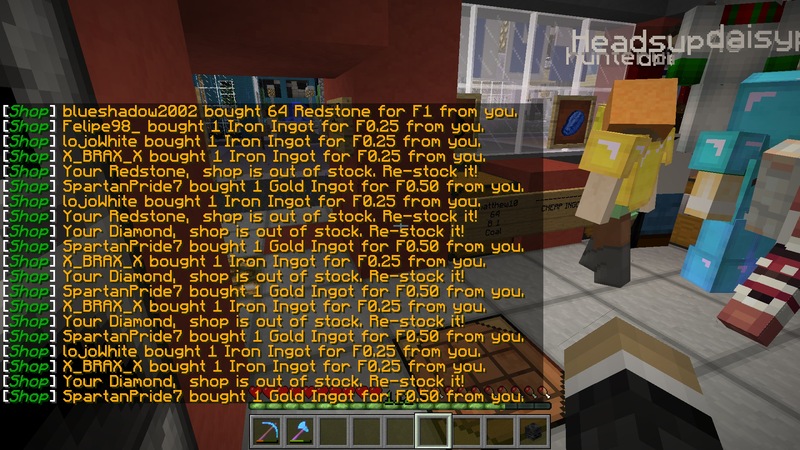 Regarding our stock, especially on our famous ingots and ores (hence the name .. hehe), will get a MUCH better stock for all stores! 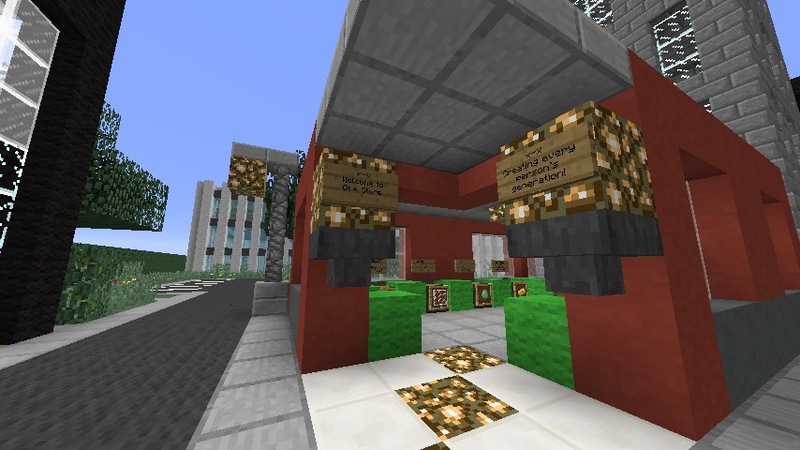 Ingots will be sold at some mini locations now depending on the city's activity so no more walking to the few major franchises to find the ingots you need aren't in stock. Expect a change in prices and shops stocked by 5:00PM (EST) today. OreStore's biggest project in our history yet, will begin this summer! It will be finished probably by August or September 2017. This factory will offer more than just tree chopping! These new jobs will include, sheep shearing, pumpkin and melon seed plantation, and yes, we will continue our tree chopping and it will be much more advanced and bigger! The underground OreStore facility will still be used for stock usually when we need the item restocked quick but that wont really come into play because this massive, F30,000+ land value factory, will be amazing for OreStore! We've been relying on our developers to do our orders recently. It's now time for them to work for the betterment of our company. We will be using our suppliers to complete orders and restock shops and you can get an amazing pay of up to F10,000/3 months which is up to F40,000/year! Incredible, right? Keeping you up to date more! To keep ourselves active, we will also update everyone at least once a week, whether it's a new franchise, new item. price, or if an item is back in stock. We will try our best not to have another one if these so-called 'dead months' but it seems like we've been increasingly busy in the start of 2017. Expect better from us because we will always be improving every person's generation! April 9th, 2017 - Today, we've done something that will really buff OreStore up; we've opened up in RiverCity! The best part is that it's conveniently located right behind Orubo. 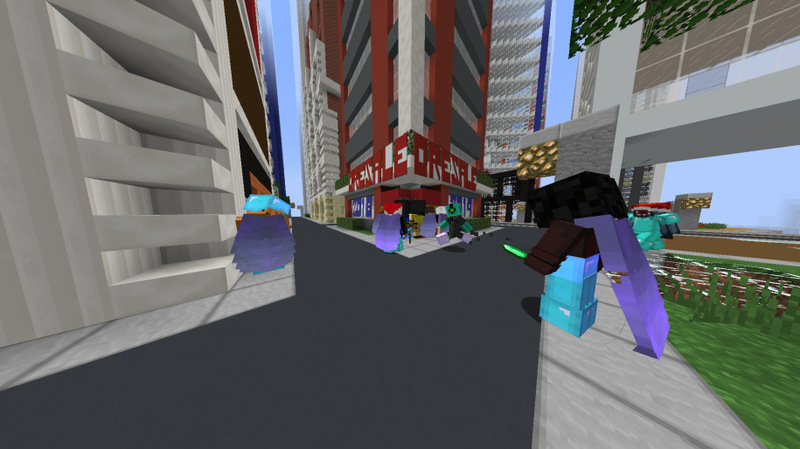 Go to /warp rc and walk straight to the end of the street, make a slight left turn and you will see our location straight ahead! Literally takes about 16-25 seconds! The first 3 floors are going to be shops that we hope to sell about 75% of our entire produce there while the rest of the 3 are apartments. We're next hoping to open a mini location in the River City square, however it is a big cost so we aren't yet sure. This is our newest major franchise since we opened in Sudbury in July of 2015 so if you're looking to buy a material that's out of stock everywhere, that wont be a problem for you anymore if you came to this location, which we will update stock weekly! We also would like to introduce two new jobs to OreStore which is the Stock Manager and Service Managers. The Stock Manager's primary responsibility is to stock the stores with anything OreStore is low on, the stock managers will be notified by the OreStore CEO if he sees an item isn't in stock. The Service Manager's job is to complete orders and take feedback from customers if there is an issue, if they see an order is pending, they will complete it and if there is an issue from a customer, the Service Manager will report it to the developers of OreStore. We have now opened applications and below are the requirements for each job. *Must be active and committed to doing a task ASAP! *Must advertise the store on when available. 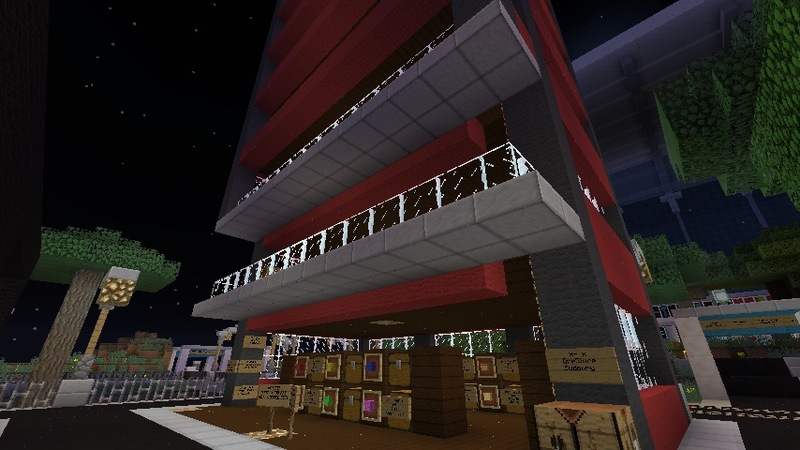 April 14th, 2017- Another, amazing but expensive investment we've added to OreStore this week is a little fair stall at the new ValleyCity "Fair 'N' Square" right in front of the warp. We bought the closest one to the warp so it would be very convenient for customers so expect many changes to this shop weekly and when items are out of stock! We hope everyone enjoys the shop! August 20th, 2017- Sorry for the lack of updates recently. But today we have built a new location! Please welcome Ashford to the list of major locations! Ashford is currently the most realistic city on HelloMiners and we are very honored to become apart of this city. Chestshops will be up next Friday, August 25th. 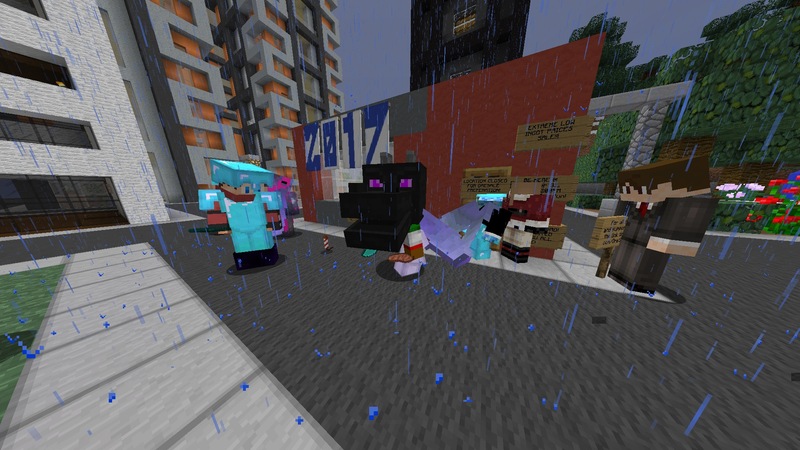 In other news, and unfortunately, our location in North, HelloClan City has been closed and sold to another player. The reason for this is because of the lack of customers at that specific location and the population of that select area is slowly decreasing which concluded us to sell it to someone else. Now you might be asking "where will OreSale be?" 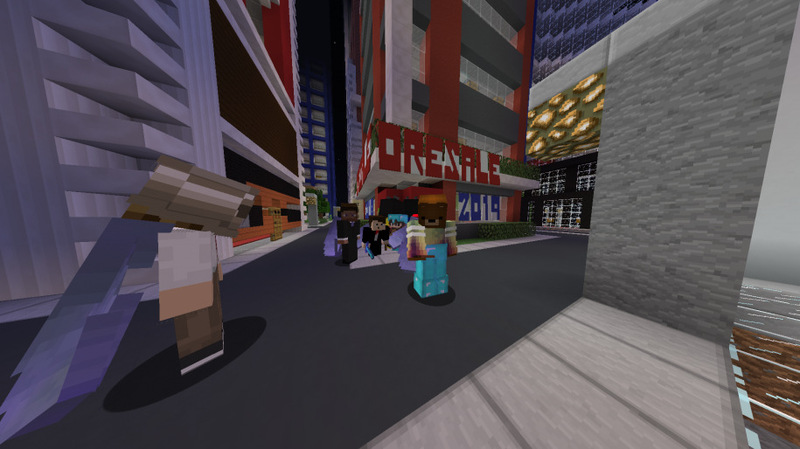 Well as you already know, OreStore's most convenient location is in River City and is only a 10 second walk so on this New Years Eve, we will host OreSale there hoping to have more people attend! 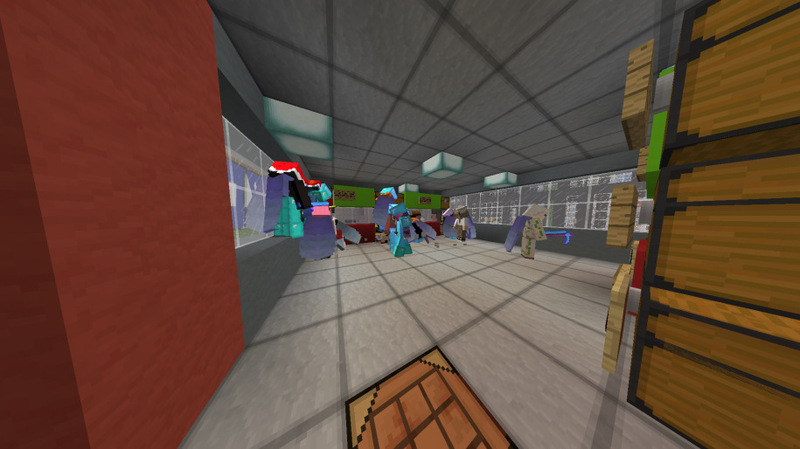 The OreStore factory is coming along well! Want to see what it looks like .. ? 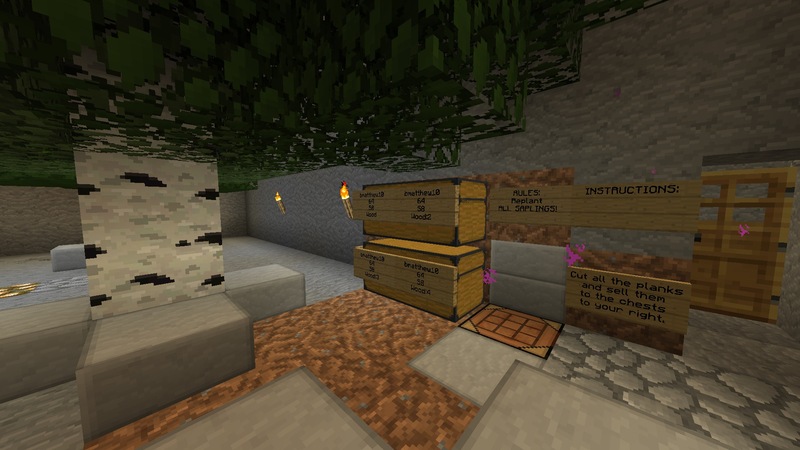 Well you need to find it for yourself because it's all a secret ... and yes there is a nether tunnel so you will be able to find it. We'll keep you updated with more info on the factory! September 16th, 2017- BIG NEWS! 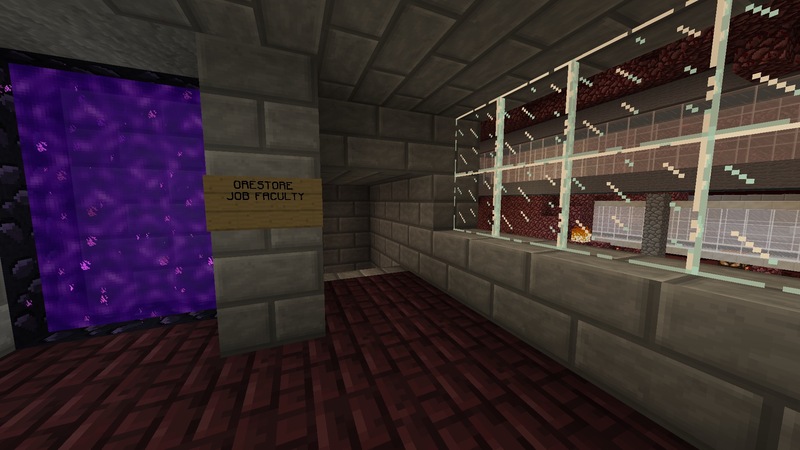 The OreStore factory's construction has FINALLY come to an end! Although we have finished construction, the factory still needs to be set up, such as chestshops, and auto-farms that need to be created. We are very proud to announce that this factory will officialy open September 30th, 2017! 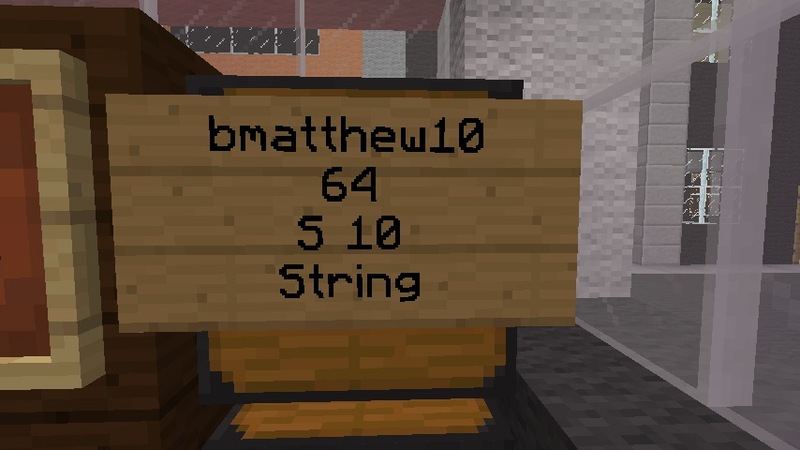 If you'd like to see the factory in-game, you may always ask CallMeBmatt. We hope everyone will enjoy using our factory whenever needed! It's time! Our 2 and a half month project has been completed and we are officially open! We look forward to not just a better production of items, but changing the course of our new players' financially! Read below for more information! •Sheep shearing - Sell wool for F8/64. • Wheat, carrot, pumpkin and melon farming - Sell carrots and wheat for F8/32, pumpkin for F4/32 and melon for F2/32. • Wood farming - Selling all types of wood for F8/64. Are there any flaws I should expect? 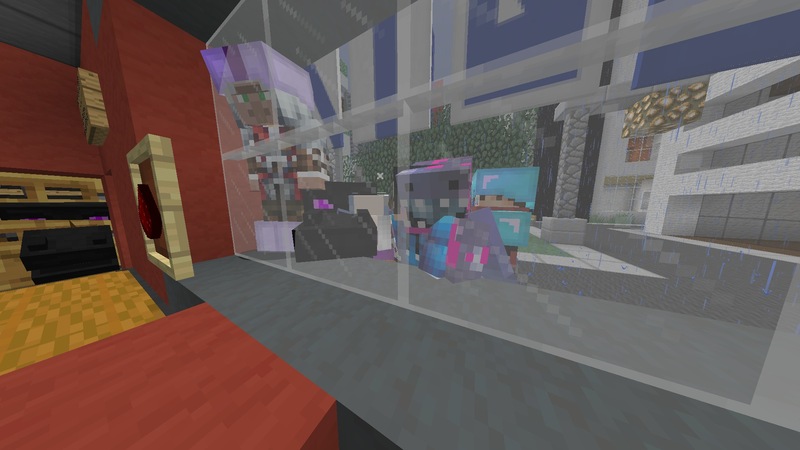 •Stackable mobs only gives 3-8 pieces of wool for 40 sheep, so breeding of the sheep at the wool center will need to continue. •Carrot selling is down from a chestshop glitch. How much could I get from this factory? If you work nonstop for about an hour, replanting and re-shearing then selling, you could earn yourself at least F400+ an hour! Not bad ... ? Yes, we will be posting a youtube video next Friday that thoroughly explains how to get to the factory and how to make money. Once again! We look forward to seeing you all out there! NEW LOCATION! 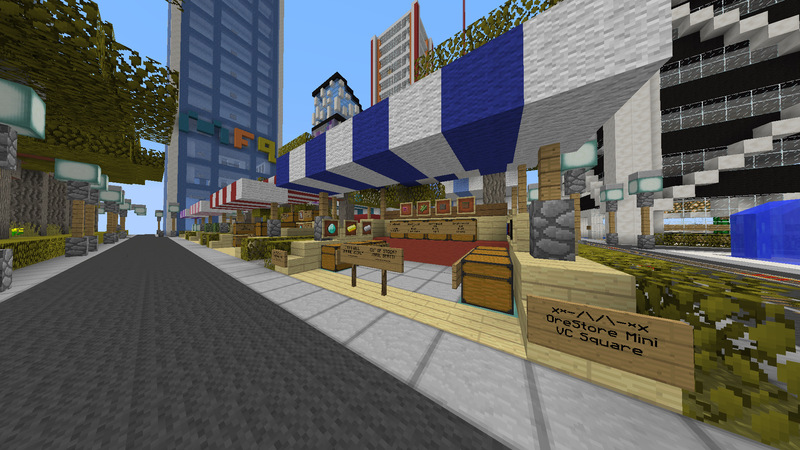 Come check out our newest (major) franchise in Crystal Bay, also the newest government city on HelloMiners. We do not have any shops yet but we will get them all up by October 29th or October 30th! Like all other major franchises, we will sell ingots and often used building materials! 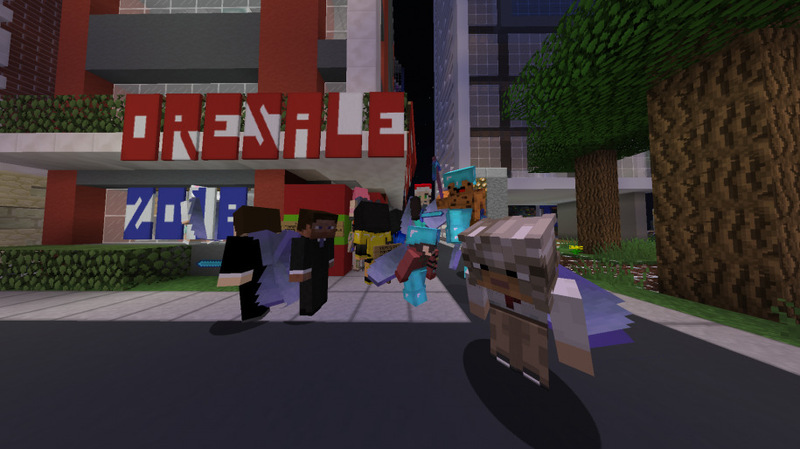 Being our 3rd annual OreSale, it was another successful event! Thanks for coming to this sale everyone .. of course we didn't forget those goofy .. and really distracted photos ... If you missed this OreSale, sorry to hear, but we are planning a possible sales event like this one in March, which is OreStore's 3rd year in service! Have a great 2018 and we will start the year well with new goals, new prices and maybe new services ..
Oh .. and don't forget our annual half off all orders, starting tomorrow until January 7th! We sincerely apologize the lack of updates since our last one on December 31st, but we can guarantee things have changed since then! 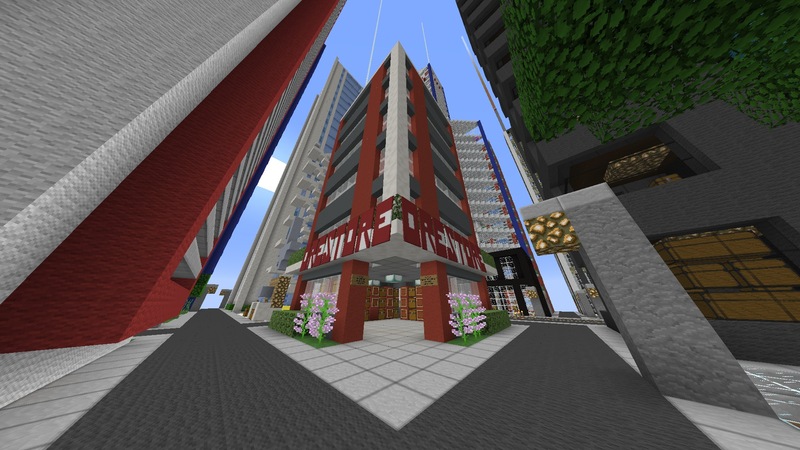 First, we've just completed the construction of the first franchise in 2018 which is in Ocelot City! The stores are yet to be stocked but will soon include 5 floors of apartments and 2 floors of shops. Give us a visit once we stock and we guarantee our prices will make you happy! In other news we will begin a major restock on all of our franchises once Ocelot City has finished stocking and furnishing. We are once again sorry for the little inactivity and we look forward to continuing to serve our players day to day. Thank you! Happy New Year everyone! 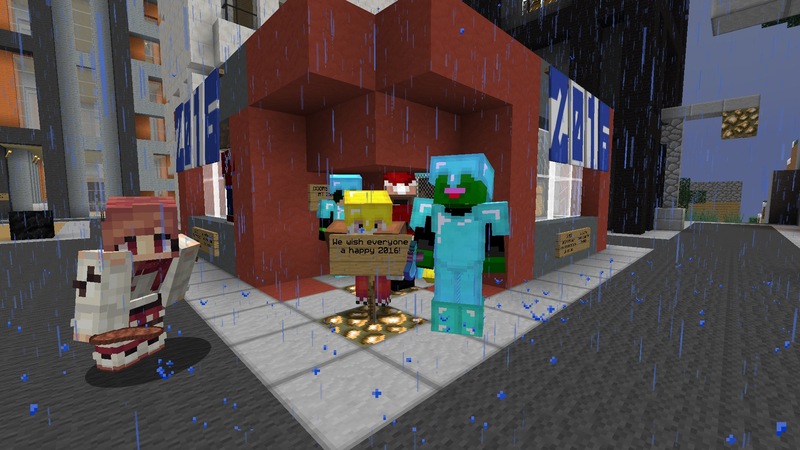 We are glad to say that we are close to 4 years of serving HelloMiners' as your primary ingot store! We haven't been active as much in 2018 but we can guarantee things we be different this year. We will be posting here what will be the new changes this year and soon! 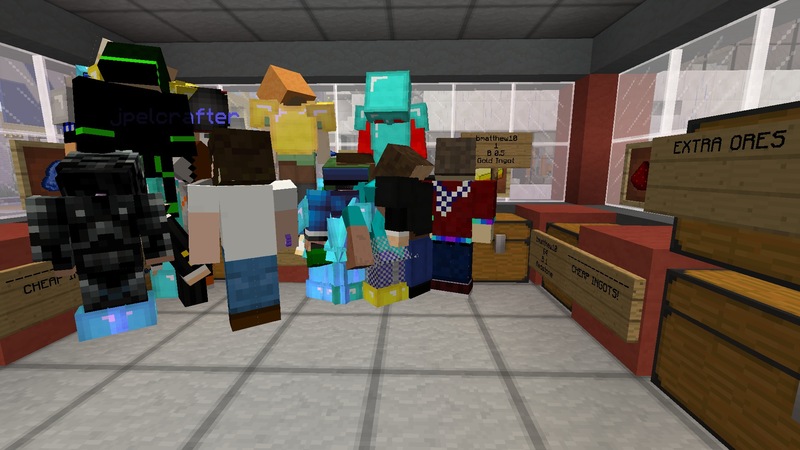 On a related note, OreSale 2018/2019 was a success and we held our highest attendance record of over 25 players who came into the shop to buy ingots. This OreSale was delayed due to the server being down. Here are the pictures. Now for the updates coming soon to OreStore! Many many stores are low stocked since we haven't fully restocked in months so this month we will be restocking EVERY CHEST SHOP there is for our store! Your local OreStore will finally be a place you can count on for supplies! Our prices are super outdated! We plan on changing the prices of select items to the updated amount, some will be raised and some will be lowered. As many of the franchises we have are in inactive cities, we plan on removing a couple and then building many more this year to accommodate the now active cities! We need your help .. so apply your city today! 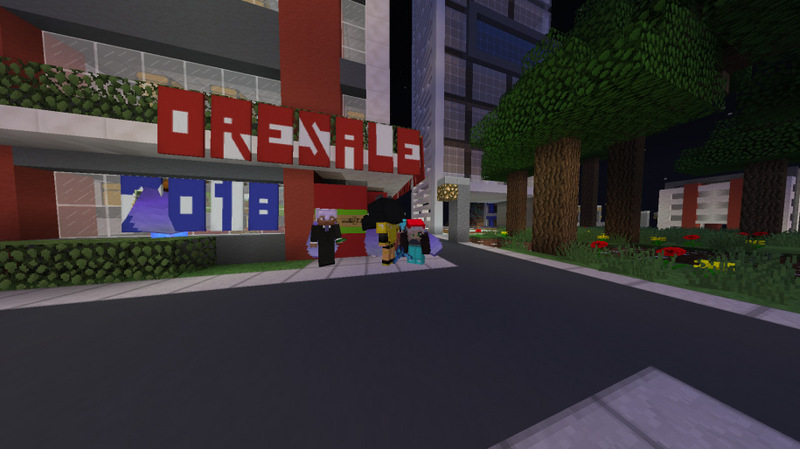 OreStore's River City franchise have all its chest shops restored as they had to be taken down from OreSale! We need people to apply for jobs! If you are looking for a full-time position here at OreStore please check the "Jobs and Applications" spoiler! We plan on updating it and adding new jobs for people there! Another successful year for OreStore! The financial information is ESTIMATED and added up from the beginning of the company in March 2015. The plus sign in parenthesis means that the value is more than likely higher than it is displayed as. The wavy dash next to the value means that the it is estimated and not exact. 3/17/19-3/26/19 OreStore's 4th year anniversary sale! 50% off all orders! All online orders will be 50% off! 4th annual New Year's Ingot sale! Same location as last year. 3/16/18-3/25/18 OreStore 3rd year of service 50% of all orders! Celebrates OreStore's 3rd year anniversary of service. All orders will be half off through Spring Break. Limits still apply. Our 3rd annual OreSale event! 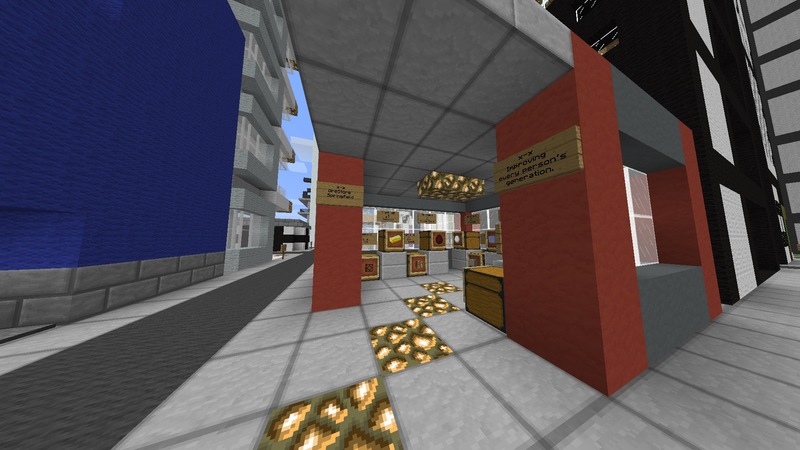 All ingots at the lowest price you've ever bought for! Huge bulk sale will take place at River City this year so expect a much bigger crowd than last year! 3/5/17-3/17/17 OreStore's second anniversary all items 50% off! To celebrate our 2nd year of service, we allow all orders to be 50% for a limited time only! Don't miss this! 2nd annual OreSale sales event. Ore/Ingot prices are very low and everyone is welcome to come. Sale time is to be determined. Preparation begins November 2016. Summer/4th of July half off sale! Since summer is here, and 4th of July has hit, OreStore will be allowing all orders 50% off for 2 weeks. To celebrate marking from one year of OreStore being a company, we declare that all items for order are 40% off! 1/1/17-1/8/16 2017 50% off all orders! All orders are 50% off to celebrate 2017! 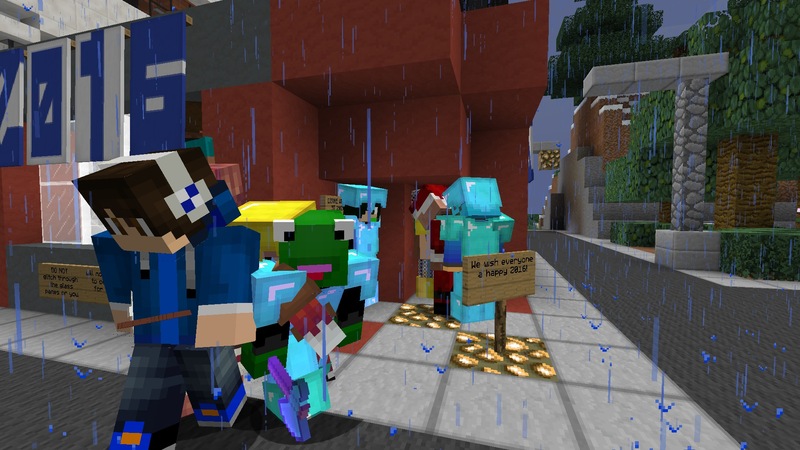 This event was traditionally recreated from Block Empire when they sold almost all ores for an incredible price! We hope everyone can make it! 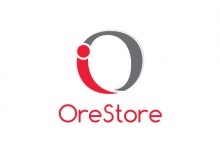 OreStore became a potential company name in October, 2014. Plans to establish the business started February 2015 and didn't become officially established until March, 2015. bmatthew10 (CallMeBmatt now), the founder of OreStore didn't want to make an unorganized business, so he decided to plan out how each franchise will look like depending on major franchise or mini franchise. 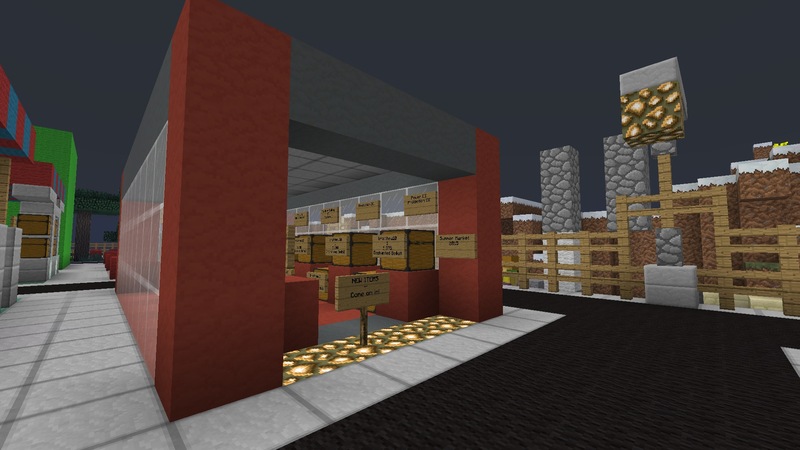 In early March of 2015, bmatthew10 opened up an OreStore in Avalon, a newly-built metropolitan city in Northeast HelloMiners. 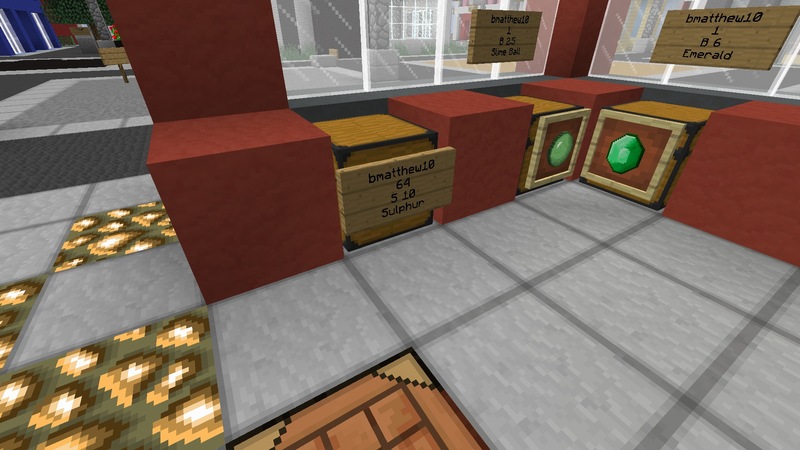 He then built another location next to the first location, then becoming a storage and a small shop. 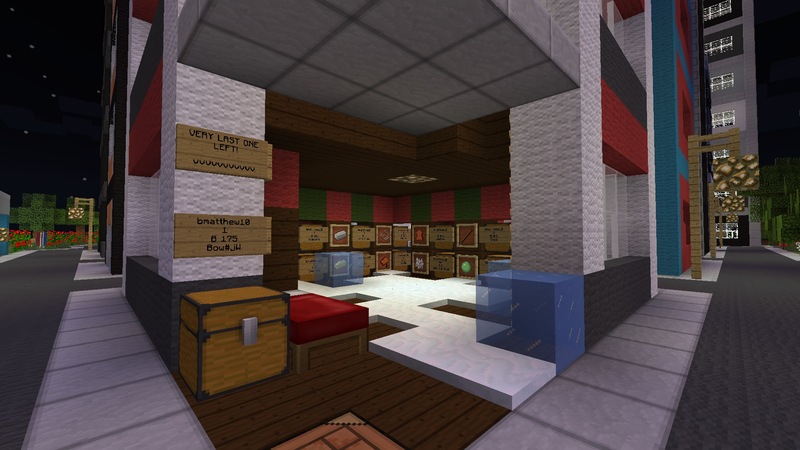 bmatthew10 made greater plans for the store weeks after opening it, he advertised it as much as he could so it could gain some attention and get people to use his shop. That didn't go so well, unfortunately, but he continued his plans thinking of potential cities that could would be good for OreStore. A location then opened up in New Jamaica, a very popular city at the time, and his newly-built city Sunset Springs becoming one of the first franchises. In June, 2015, he built a facility that would offer the first public jobs for the company, tree chopping was the only one offered but he expanded the facility for his company's use. 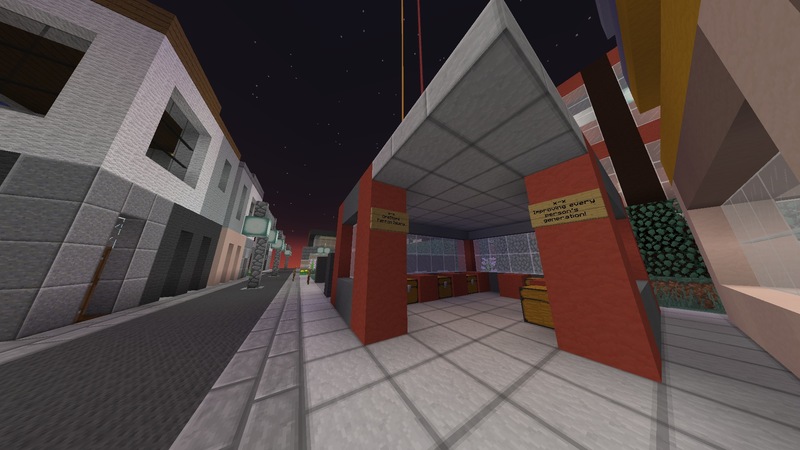 In the summer of that year, bmatthew10 opened up the first official jobs that he thought might make a difference on his company's appearance on other players. 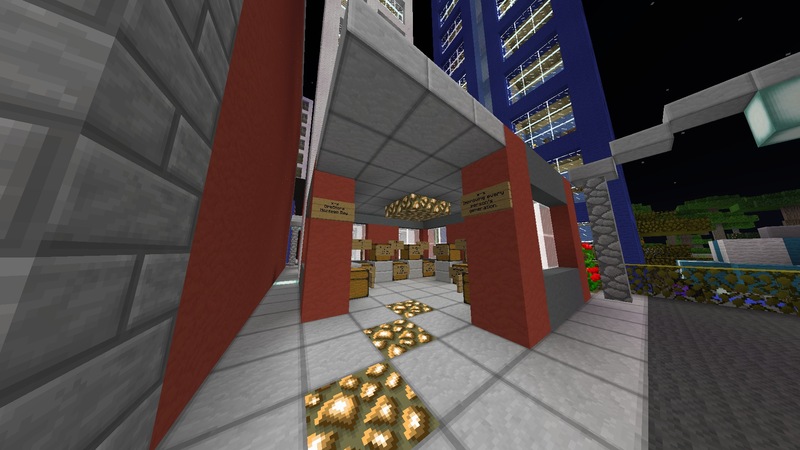 Many new locations arrived upon the server map throughout the following months. 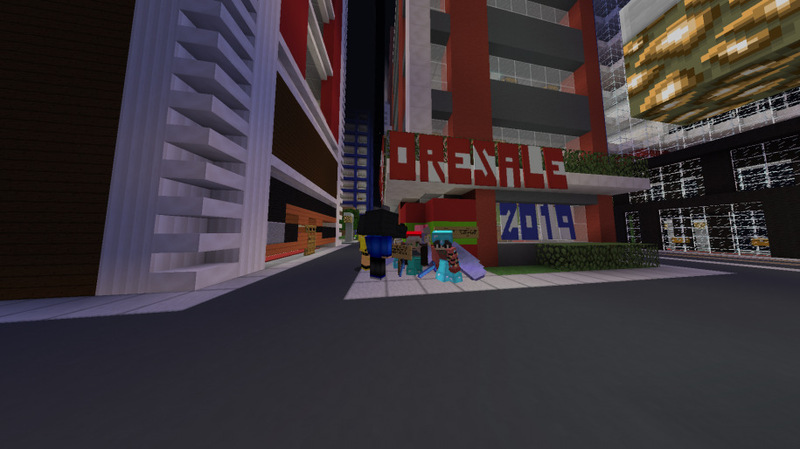 December 31st, 2015; OreSale, the first official sales event of OreStore was held that celebrates the new year. This sales event lowered ingot prices by about 70% and gives everyone the opportunity to buy what their own share desires. In 2016, the company updated with many new things such as locations, jobs, and better pricing. X_BRAX_X became the first OreStore developer in the summer of 2016 and he helped with almost anything the company needed. Theocat was then hired later on. bmatthew10 changed his responsibilities of his company to support the betterment of itself and to allow other people to work with the stock and services. The company is continuing to expand and always taking suggestions for customers and shoppers. In the summer of 2017, OreStore built itself a major factory that is now become the heart of its production and public jobs. Questions/Comments? 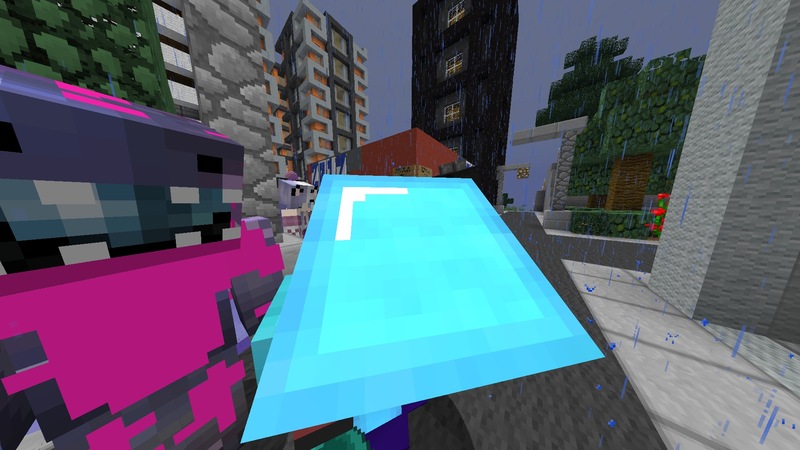 Leave a reply or send a message to CallMeBmatt, X_BRAX_X, or theocat. Enjoy our services? Like our prices? Support us by hitting that like button! © Copyright OreStore Inc., 2019. All rights reserved. Last edited by ~Bmatt on Sat Mar 30, 2019 5:52 pm, edited 226 times in total. OreStore has done enough work to start ordering! Order any item you'd like and we'll take care of your process quickly as possible! You can order simply by following the format down below. Up above is the price and the limited amount you can order. If there is an item that is not up there, we can still process your order and give you information on the item(s) etc. pricing, limits. Orbit Industries- "The Future is in Our Hands"
Yeah, what can Orbit do for us? ~xKingEpicx wrote: Yeah, what can Orbit do for us? Ok, we can talk in game about it. Can we move our meeting for OreStore Partnership? OyestaOne Non-Profit Organization coming soon! All wood at our Major New Jamaica location has been restocked. 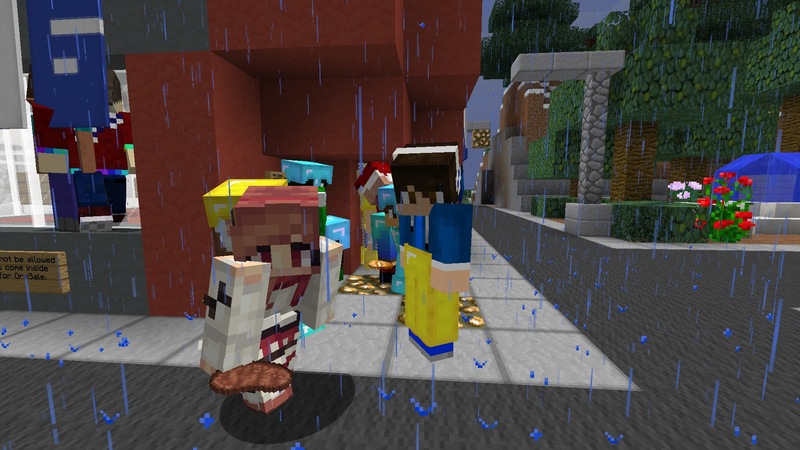 We are working to restock diamonds, redstone, and lapis. "No. I'm not dead (yet). Thanks."